A new £200,000 facility at Crossgates, near Dunfermline will provide training opportunities to engineers in the renewable energy sector. The centre-piece of the facility is a recently decommissioned wind turbine and there is also a 17 meter high tower so that engineers can be given training involving heights. The Crossgates Wind Turbine Training Facility is to be officially opened on Tuesday by Scottish energy Minister Fergus Ewing who views it as an essential part of creating a highly skilled workforce in the renewable energy sector. The Scottish Government believes that it is a vital step towards embracing Scotland’s future as a world leader in renewable energy technologies. 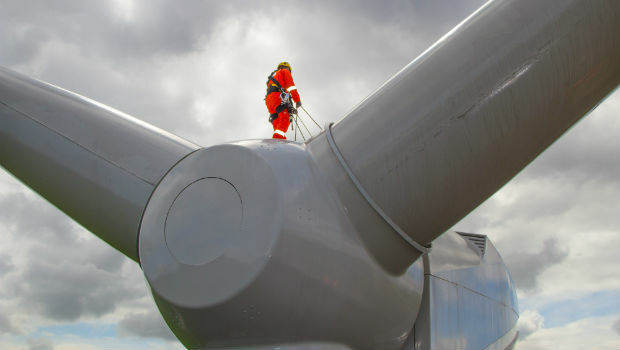 The focus of the new facility will be to train and equip Scottish engineers with the skills needed to work onshore and offshore with wind turbines and will run fully accredited courses from world leaders RenewableUK and the Global Wind Organisation. The Mines Rescue Service is running the facility and one of the main themes of the new site will be health and safety training. Previously, in order to be appropriately accredited in this area, engineers had to do their health and safety training in other parts of the UK. This would clearly be an unsustainable position if Scotland is to fulfill it’s potential in the sector and Scottish Enterprise are therefore providing some of the funding to make the Crossgates site happen.